It’s been two years since the Earthquake of 2015 and still there are many houses that need a rebuild. 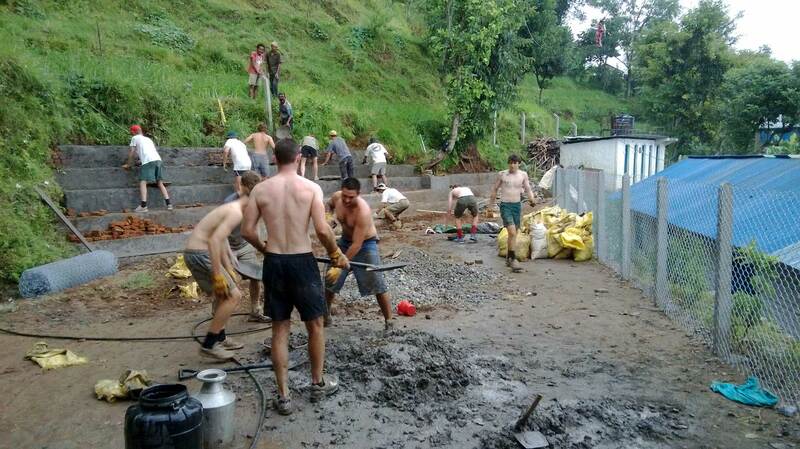 This program aims to bring international volunteers so that they can help us rebuild the damaged houses. 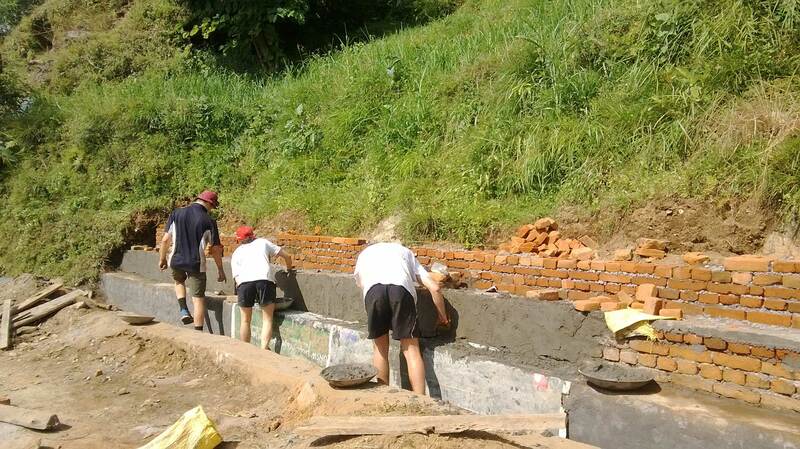 Rebuilding activities in the village of Gorkha. The scale of destruction is so grand that Nepal alone can’t deal with it and therefore we need the help of foreigners like you. 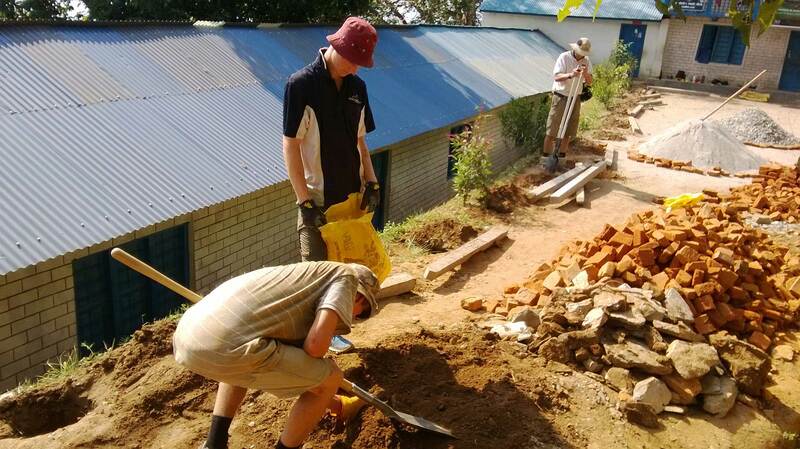 We have designed this voluntourism itinerary in such a way that you at first spend your time in rebuilding activities in the remote villages of Gorkha which lie at the epicenter of the deadly earthquake. 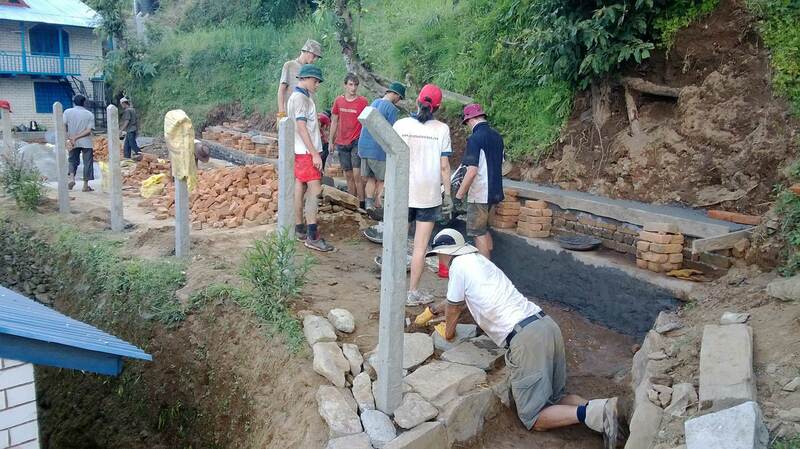 Once you are done with volunteering activities depending on your time we encourage you to indulge in various touristy activities which are safe and get chance to know more about the beauty of Nepal. The activities can be a trek to Everest Base Camp, visit to Chitwan National Park; rafting at Trishuli or Budi Gandaki etc. Indulging in such activities can also help us make sure to every people of the world that Nepal is still a best place to travel and enjoy its beauty of nature despite of such calamities. Your visit can also be a boon for enhancing our tourism in such situation. 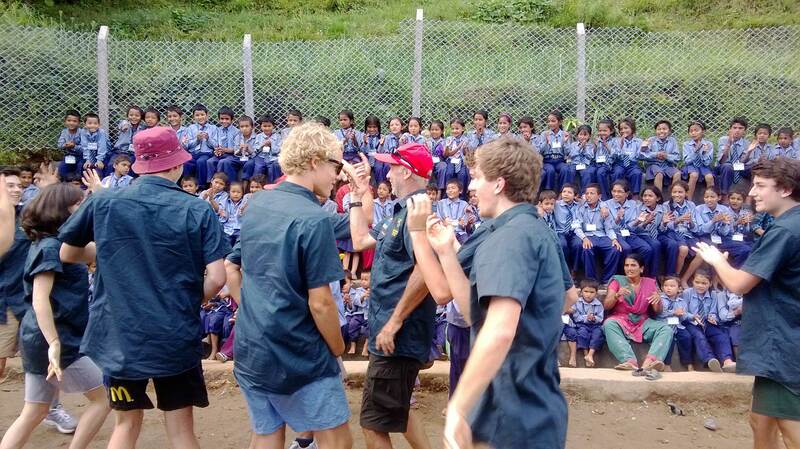 Day 1 – Arrive at Tribhuvan International airport (1,345 meters). Overnight at Hotel. Day 01 - Arrive at Tribhuvan International airport (1,345 m). You arrive at Tribhuvan Int’l Airport in Kathmandu. Our representative will receive you and transfer you to a hotel in Kathmandu. 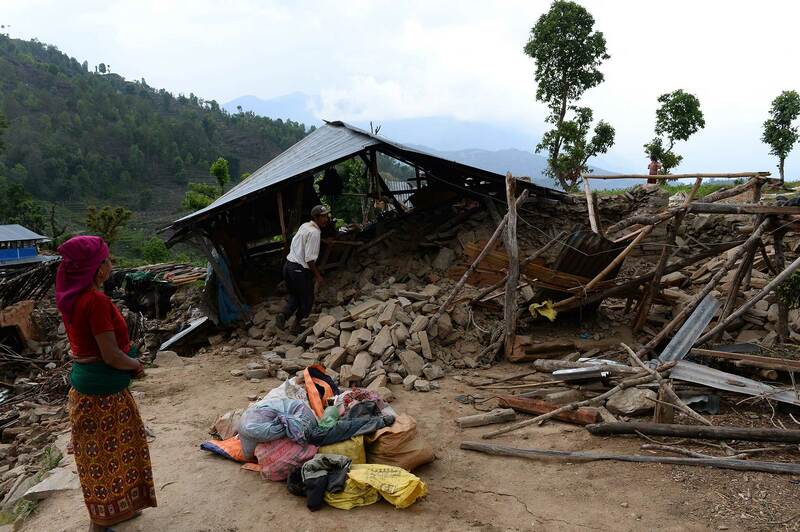 On this day, we transport you to one of the villages of Gorkha which lie at the epicenter of the earthquake. We will use 4WD jeeps and you have to do a few hours of walking too. Our focus is on five villages: Aruchanaute, Arbang, Manbu, Thumi and Arupokhari. Depending upon the size of group, we will decide whether your group will go to one village or two or more. The journey from Kathmandu to the villages can take from 7 to 9 hours. 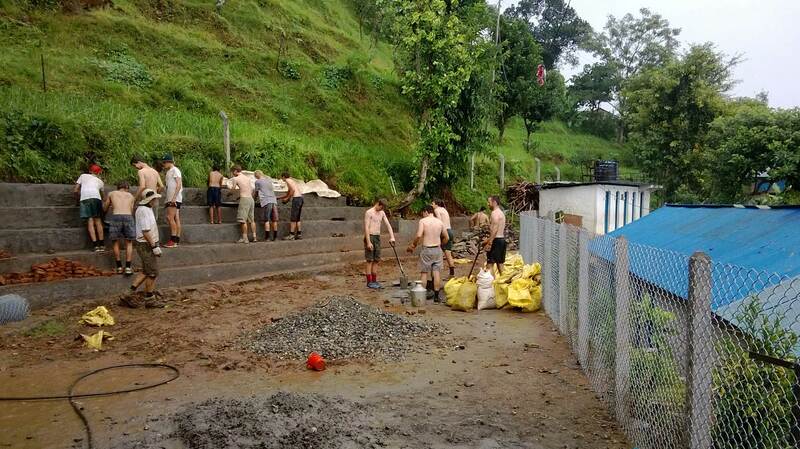 Day 3 to 6 - The Rebuilding Activities in the Village. 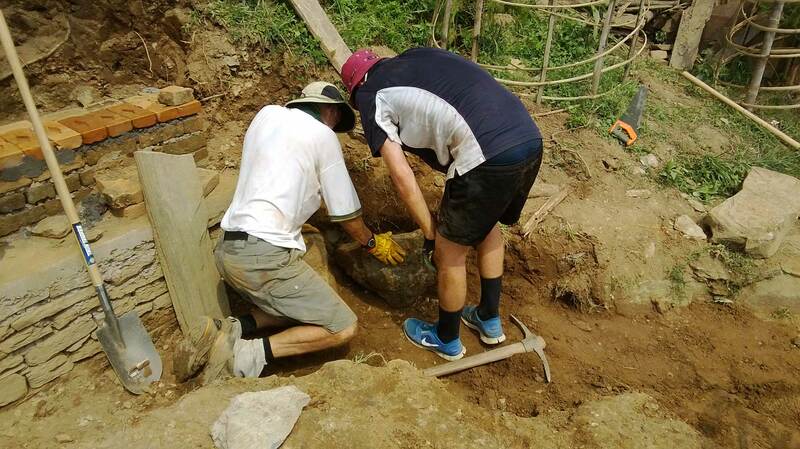 The rebuilding activities of the houses of the village start in this day and will continue for the time of 5 days. You won’t be engaging on works that require technical expertise. 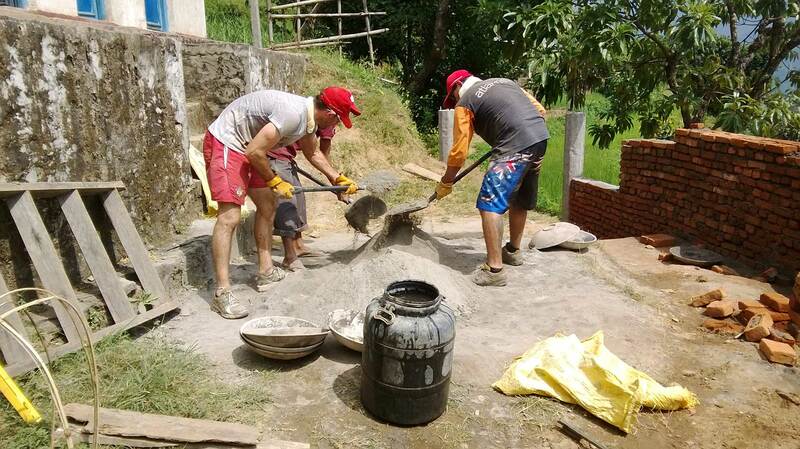 The activities you will do are simple: carrying housing equipment like timber, stones, sand, cement, tin, iron rods, aluminum sheets etc, mixing sand and cement, painting the walls of the houses and so on. For activities needing technical skills, we will hire building professionals. But if you have skills, then you can help them in their work and make things easier. 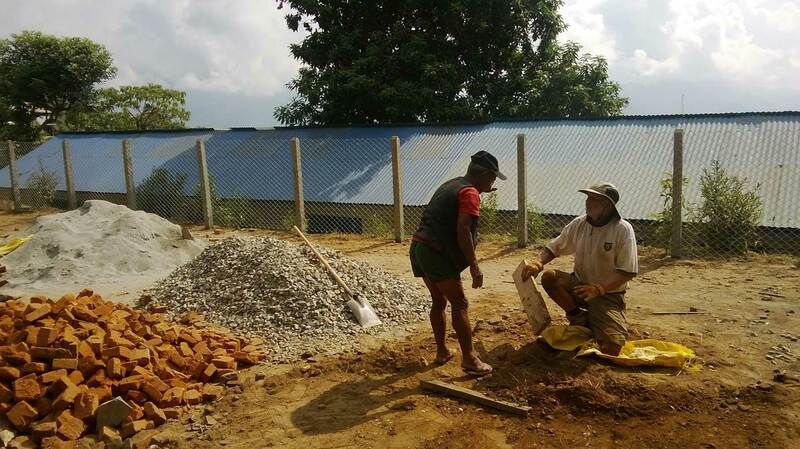 We will be focusing mainly on re-using the resources like woods, bamboo; stones, useful rods especially from the damaged houses which can minimize the cost of building new houses and the fund can be utilized in buying other needy materials. For this, we will definitely discuss with the locals and inspect those damaged houses so as to re-utilize the resources. The houses will be more eco-friendly by utilizing the local materials and also the local family can repair by themselves if its required. You don’t necessarily have to do only the works we have mentioned above. You can do anything you see as absolutely essential. All that matters is that you help the victims of the earthquake of Gorkha to lessen their suffering and to get back on their feet. Any types of new ideas you can always feel free to discuss with the team which can be helpful to overcome the circumstances. Day 7- Drive Back to Kathmandu and Farewell Dinner. You will be driven back to Kathmandu from the village. And, at the end of the day, there will be farewell dinner for you in a Nepali restaurant with cultural performance. We have organized this dinner program to bid you goodbye and say thank you for your noble efforts in rebuilding the village of Gorkha. Twin sharing accommodation in a two or three star hotel in Kathmandu including Breakfast. Accommodation in tented camp with breakfast, lunch and dinner in the village (two person in one tent) - food prepared by ACE the Himalaya expert cook and kitchen team. 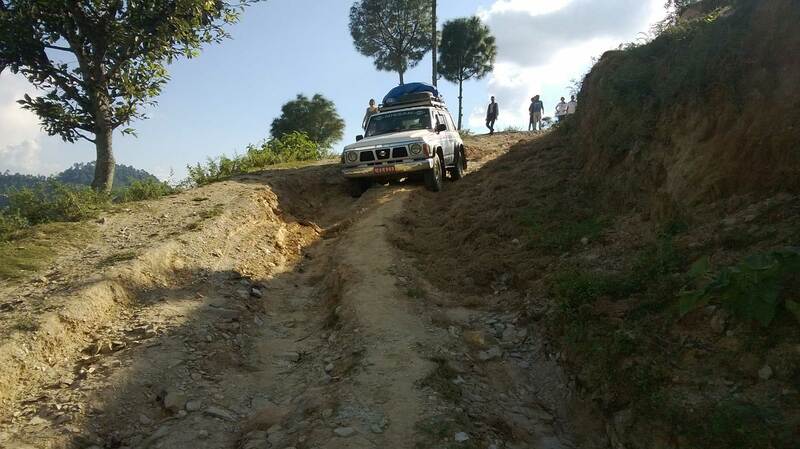 All ground transportation required in Kathmandu and to transfer you to and from the village by 4WD jeep. The following gives you a general idea of the personal items you need for this trip. The personal items, though, are optional and of choice. The most important factor to be considered is the time of the year, trekking days, region and altitude. We will supply complimentary water and windproof duffel bag which you can use on the trip in village. The duffel bag is yours to keep after the trip. You can leave your bag with your non-trek items at the hotel in Kathmandu and collect them after the trip. This trip is suitable for average people who are moderately fit. Some physical fitness programs such as running, swimming, hiking is recommended before you embark on your journey as you will engage in rebuilding activities. Yes, our airport representative will be there to greet you at the airport. S/he will be displaying an Ace the Himalaya sign-board. Upon arrival, you will be transferred to your hotel. 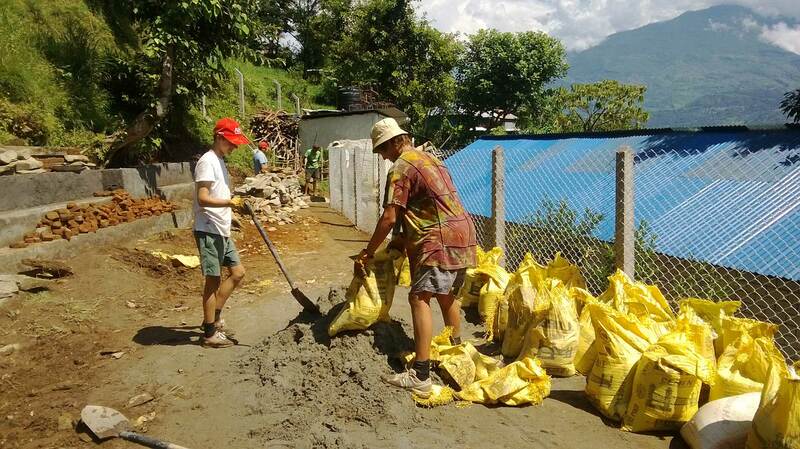 The mission of this Program is to help the villagers to rebuild the houses destroyed by the 7.8 earthquake by bringing in the good-intentioned foreigners to volunteer and providing donation to cover a certain portion of the house-construction expenses. The main occupation of the villagers is farming, grazing animals etc and due to this massive disaster, they have become not only homeless but jobless too so we will give the first priorities to such families. What accommodation options do I have?? In Kathmandu, you will stay at a two or three star hotel. In the village, you will stay at a tented camp. A sleeping tent will be provided to you. And on the trek, you will stay at local guesthouses. All the accommodation will be in twin-sharing basis with same gender. But for the entire trip if you want to have a single room including a single tent, you need to pay USD 470 extra. All transportation inside Kathmandu will be in a private vehicle (a car or a minibus) including for airport/hotel pick up and drop off. For transportation to and from the village we will use 4WD vehicles. The remote villages are not connected by tarred multi-lane roads. There are single-lane dirt tracks which run along the side of large hills, are very bumpy and prone to landslides, especially during the monsoon season (June – September). We assure you that all our drivers are very experienced in driving on these roads. We will make all necessary arrangements to ensure that you reach your destination safely. Please note that lunch and dinner in Kathmandu is excluded in your trip price. Important: It is common in Nepalese culture to offer food when receiving guests into the home; however volunteers are advised not to accept any food from local villagers at any time. Please kindly reject the offer. Often time the food is not prepared properly or contains contaminated water and volunteers risk getting sick. If visiting a villager’s house, or a local festival, it is recommended to take a guide from the Ace team to communicate this issue. If you have any special dietary needs, please let us know and we’ll do the best in our ability to have this arranged. Yes, they have all received a 45-days training from the Hotel Management and Tourism Center in Nepal. 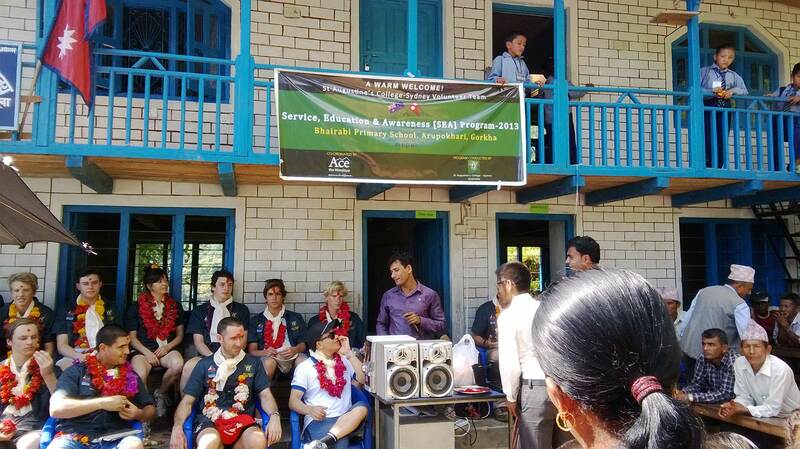 The guides have also received high altitude first aid training from KEEP (Kathmandu Environmental Education Project). Please check our Guides Profiles and Training Certificates. Yes, you need to book your own International flights. We are a local agent and it would cost you significantly higher to book through us. Please find more information in the International Flight page. In Kathmandu, the hotel provides the free Wi-Fi service and electricity. During the trek, the local mobile phones work almost every day. Some towns do offer the Internet service but you have to pay for it. The electricity charging facilities are available in Annapurna trekking route. We also recommend our volunteers to buy an NCELL Sim Card so that they can use internet and phone calls from their own mobile phone. USD 50 is sufficient for this entire trip. Our guide from Ace the Himalaya will be more than happy to make this arrangement for you so please do coordinate. It depends on your spending habits. You don’t need much money. We estimate USD 1 USD 5 a day will be enough to buy if you drinks alcohol. What are the bathing and laundry facilities like in the village? In the village area, there are no private facilities for bathing and washing clothes. There are spring water creeks, rivers and communal water source available for bathing and washing. While in Kathmandu, the hotel offers the attached bathroom with hot and cold water. We will provide the shower tent for those who want to have private shower near by the camp especially for our female volunteers. Depending on the weather our kitchen team will prepare the bucket of hot water for the shower. During your stay in a tented camp in village, we will provide you a common tented toilet. While in Kathmandu, the hotel will offer the room with attached toilet and bathroom. You don’t need much money in the village. You need to change the USD in Kathmandu into local currency before going into the village or the mountains. You can change the money easily from the banks and money exchange counters nearby your hotels.